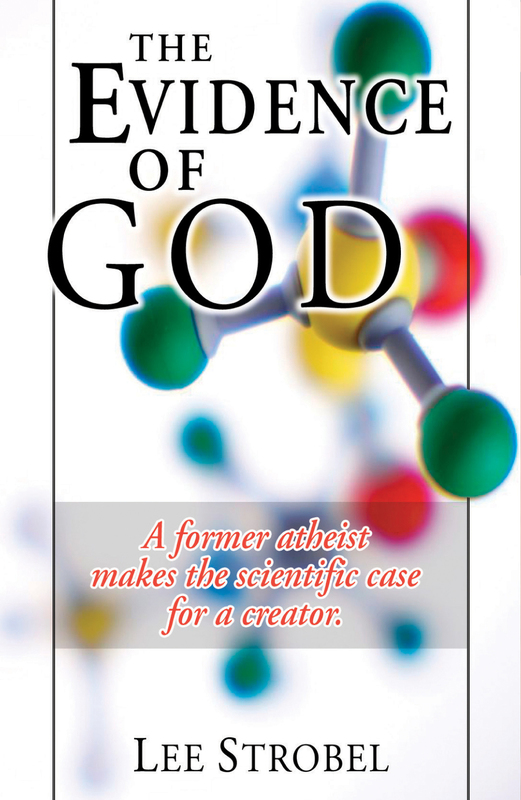 Former atheist Lee Strobel shows how the facts of science point to a Creator. He then explains how faith in God is a reasonable step to take based on that evidence. I was once full of confidence that Darwinism justified my atheism. I felt I had investigated the issue sufficiently, having studied biology, chemistry, geology, anthropology, and other sciences. No doubt about it—natural selection acting on random variation had put God out of a job. But then I began to go beyond the obvious, to set aside my prejudices, to ask questions I had never posed before, and to pursue the clues of science and history wherever they led. Instead of letting naturalism limit my search, I opened myself to the full range of possibilities. Frankly, I wasn’t prepared for what would happen. The facts of science systematically eroded the foundation of Darwinism until it could no longer support the weight of my atheistic conclusions. After two years of intensive scientific research I came to a startling conclusion—the data of the physical world points powerfully toward the existence of a Creator. Based on this, I was forced to conclude that Darwinism would require a blind leap of faith that I was not willing to make. The central pillars of evolutionary theory quickly rotted away when exposed to scrutiny. For example, naturalistic processes have utterly failed to explain how non-living chemicals could somehow self-assemble into the first living cell. In addition, the overall fossil record has stubbornly refused to confirm the grand claim of Darwinian transitions. The majority—or, according to some experts, all—of the world’s forty phyla, the highest in the animal kingdom, virtually sprang forth with unique body plans more than five hundred million years ago. The sudden appearance of these radically new life forms, devoid of prior transitions, has turned Darwin’s Tree of Life on its head. Darwin said, “If it could be demonstrated that any complex organ existed which could not possibly have been formed by numerous, successive, slight modifications, my theory would absolutely break down.” Biochemist Michael Behe has demonstrated exactly that through his description of “irreducibly complex” molecular machines. These complicated, microscopic contraptions, such as cilia and bacterial flagella, are extremely unlikely to have been built piece-by-piece through Darwinian processes because they had to be fully present in order to function. Other examples include the incredible system of transporting proteins within cells and the intricate process of blood-clotting. The six feet of DNA coiled inside every one of our body’s one hundred trillion cells contains a four-letter chemical alphabet that spells out precise assembly instructions for all the proteins from which our bodies are made. Whenever we find a sequential arrangement that’s complex and corresponds to an independent pattern or function (books, computer code, DNA), this kind of information always implies an intelligent source. In my opinion, the findings from cosmology and physics by themselves were sufficient to support the design hypotheses. All the other data simply built a more powerful case. But who or what is this master Designer? Each scientific principle contributes some clues to unmasking the Creator’s identity. Physics—suggests the Creator is intelligent and involved. Astronomy—shows the Creator is incredibly precise, implying care, concern and purpose. Biochemistry and Biological Information—demonstrate the Creator is... creative. Consciousness—shows the Creator’s rationality, which suggests omnipresence and the credibility of life after death. These characteristics do not describe the god of deism, who supposedly formed the universe but then abandoned it. Nor is it pantheism, the idea that the Creator and universe are co-existent. Polytheism with its multiple gods falls short, as does the impersonal force of New Age beliefs. In contrast, however, the portrait of the Creator that emerges from the scientific data is uncannily consistent with the description of the God whose identity is spelled out in the pages of the Bible. As the apostle Paul wrote two millennia ago: “For since the creation of the world God’s invisible qualities—his eternal power and divine nature—have been clearly seen, being understood from what has been made [that is, his creation], so that men are without excuse” (Romans 1:20). The question of whether these qualities might also describe the deities of any other world religions became moot once I added the evidence that I discovered through the study of ancient history and archaeology (see author’s book, The Case for Christ). With Darwinism, my faith would have to swim upstream against the strong current of evidence flowing the other way. But putting my trust in the God of the Bible was nothing less than the most rational and natural decision I could have made. I was merely permitting the torrent of facts to carry me to their most logical conclusion. I see faith as a reasonable step in the same direction that the evidence is pointing. Faith goes beyond merely acknowledging that the facts of science and history point toward God. Faith is responding to those facts by investing trust in God—a step that’s fully warranted due to the supporting evidence. When we decide not merely to ponder the abstract concept of a designer but to embrace him as our own—to make him our “true god”—then we can meet him personally, relate to him daily, and spend eternity with him as he promises. If you’re a spiritual skeptic or a seeker, I hope you’ll resolve to investigate the evidence for yourself, and then respond accordingly. • First, is there a God who created the universe? • Second, did God reveal himself to humankind through the Bible? • Third, is Jesus the Son of God—deity united with humanity—and can he help us as he claimed? You’ll soon find that the universe is governed by both physical laws and spiritual laws. The physical laws point us toward the Creator; the spiritual laws tell us how we can know him personally, both today and forever. Dear God, I now realize that You are the Creator and sustainer of the universe. Please forgive me for my sins and for not believing in You for so long. I also acknowledge the many other selfish sins I’ve committed against You. I believe You sent Your very Son, Jesus Christ, to die on the cross for my sins so that I might have eternal life. I now trust in Jesus as my Savior. Thank You for forgiving me and granting me life eternal with You. Amen.